Senator Elizabeth Warren (D, Massachusetts) leads the uphill battle in upgrading our nation's flag to reflect a broader base of American diversity. SPRINGFIELD, MASS. 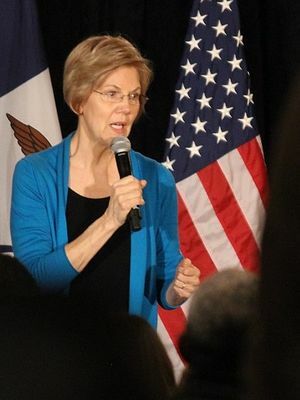 : At a Democratic Party fundraiser being held to mourn the untimely passing of Hillary Clinton's political ambitions, Senator Elizabeth Warren (D, Massachusetts) called everybody's attention to the deeply-ingrained unfairness of the current composition of the Flag of the United States of America. In particular, what really drew Warren's ire and damnation was the fact that every single state of the Union is represented by exactly one (1) star on the flag, of which each is exactly the same size, irrespective of the huge disparities of population between the various states. "This is not the kind of America I want for my children to grow up in! ", she screamed from the auditorium stage to the thunderous applause of the CNN reporters. "Why is Wyoming entitled to a whole star, just because it is an insignificant redneck state? 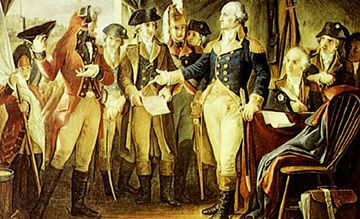 The people of Massachusetts deserves TWELVE stars on the flag all by itself if it is to be more equally represented than those other states!" The National Flag of the United States, as of 2019. This symbol of national unity has, ironically, become the latest battleground for today's political change. As it stands now, Wyoming's stellar representation per capita on the flag is roughly seventy times that of California, even though California has more than 68 times the population of Wyoming. According to Democrats, this combination of factors gives Wyoming a tremendous political advantage to the tune of 4,700 times as much as California alone. Also, according to Democrats, that's just plain unfair. Speaker of the House Nancy Pelosi (D, California 12th District), who was attending the rally via Skype video feed on her cellphone whilst in the bath, lended emotional support to Warren's allegations of the thoroughly undemocratic laws which define the layout of the flag (per Title 4 Chapter 1 of the US Code). Pelosi also pointed out the deeply-ingrained inequality of the red and white stripes taking up a full 78 percent of the total flag area, even though they, alone, represent barely one quarter of all the states, and not even a third of the country's total population. "Everybody else is crammed into that tiny blue corner on the upper left, as if their pitiful lives didn't matter! ", Pelosi declared. "The red and white vs blue political divide which is continually promoted by our unjust flag is tearing our country apart at the seams!". How would the Founding Fathers feel about how undemocratic the flag has become? Huh? Huh? Is anybody there? Does anybody care? Is this thing even on? 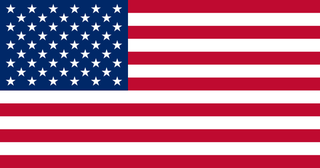 Constitutional historians have offered various justifications for the inequitable distribution of the national flag's stars and stripes, such as protecting state's rights in a geometrically symmetric and visually appealing manner. Doctor Ernst "J" Schwienhiemer, the elderly Professor Emeritus of 18th-century Law at Buckley College in Los Angeles, told UnNews reporters "This is what the founders intended all along, dagnabbit! The Constitution clearly states that states are much more important than people, dagnabbit!". Proudly directing our attention to the tattered and yellow-stained flag prominently stapled to his bedroom wall just above the tattered and yellow-stained mattress of his bed, Schwienhiemer went on to say "I've had this here flag for seventy-upteen years, and I am not one bit ashamed that none of them forty-eight stars are given any more undue prominence than any other of our nation's forty-eight states!". After we gently pointed out to the professor that the Constitution actually has no say on how the flag of the United States should be designed, and that it was historically considered the prerogative of Congress to regulate the production of national flags, that's when he really got angry. "Interview OVER!!! ", Professor Schwienhiemer screamed. "How dare you presume to tell me what my All-American Flag of America should look like! That's the way it was when I was a kid, dagnabbit, and that's the way I likes it now! So get out of my dagnabbit house, you goddamn liberal freaks! ".